ola riders! estamos começando uma nova serie de previews do mais recente set de yugioh chamado EXTREME FORCE! Essa semana vamos analisar um arquétipo chamado VANDREAD ! You can Ritual Summon this card with any “Vendread” Ritual Spell. You can banish 1 “Vendread” card from your GY and declare 1 type of card (Monster, Spell, or Trap); for the rest of this turn, your opponent cannot activate cards or effects of that type. If this Ritual Summoned card is sent to the GY: You can add 1 “Ritual Monster from your Deck to your hand, and if you do, send 1 “Vendread” monster from your Deck to the GY. 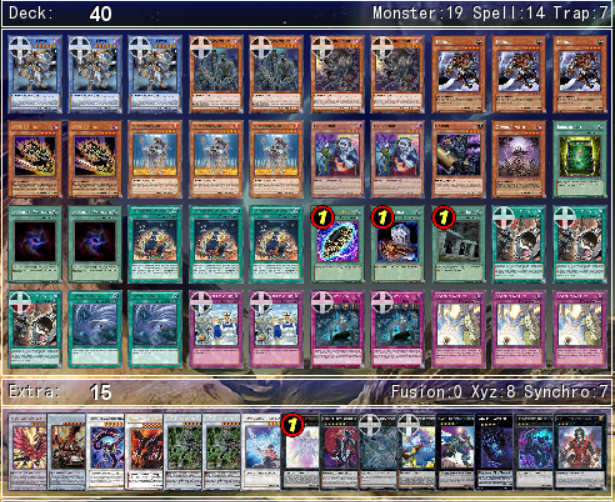 You can only use each effect of “Vendread Battlelord” once per turn. comentarios: espécie de shock máster dos vandread. além disso tem grave efeito de deck search imbricado com milhagem. VERY NICE! If this card is in your GY: You can banish 1 other Zombie monster from your GY; Special Summon this card, but banish it when it leaves the field. A “Vendread” monster Ritual Summoned using this card on the field gains the following effect. You can only use each of the preceding effects of “Vendread Core” once per turn. • Your opponent cannot target this card with card effects. Send 1 Zombie monster from your hand or face-up from your field to the GY; Special Summon 1 “Vendread” monster from your deck. You can only activate 1 “Vendread Charge” per turn. Discard 1 card, then target 1 “Vendread” monster and 1 Ritual Spell in your GY; Special Summon that monster in Defense Position, and if you do, add that Ritual Spell to your hand. You can banish this card from your GY; then target 5 of your banished Zombie monsters; shuffle them into your Deck, then draw 1 card. You can only use each effect of “Vendread Revolution” once per turn. comentarios: grave summon de vendread ritual monstro (espécie de call of the haunted) imbricado com recuperador de spell ritual. além disso tem grave efeito de RFG recuperação imbricado com draw effect. BACANINHA! battle Lord certamente é interessante! As outras sao apenas "boazinhas'. voltamos em breve com mais reviews pra vcs! Vendread Zombies (YgoPro) - Ritual Zombies are LIT! Enter, Revendread Slayer!